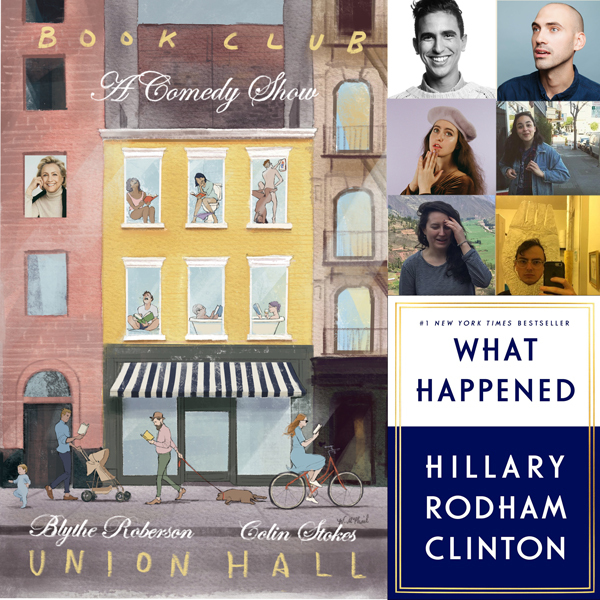 Book Club is a comedy variety show where hosts Colin Stokes and Blythe Roberson (The New Yorker, The Onion), along with some of NYC’s best comedians, read the books so you don’t have to. Held monthly at Union Hall. This episode is WHAT HAPPENED by Hillary Rodham Clinton. Listen and laugh with us, or Blythe sobbing while reading this book on a plane will be all for naught! Live sound and recording by Gary O’Keefe. Produced and edited by Shannon Manning.